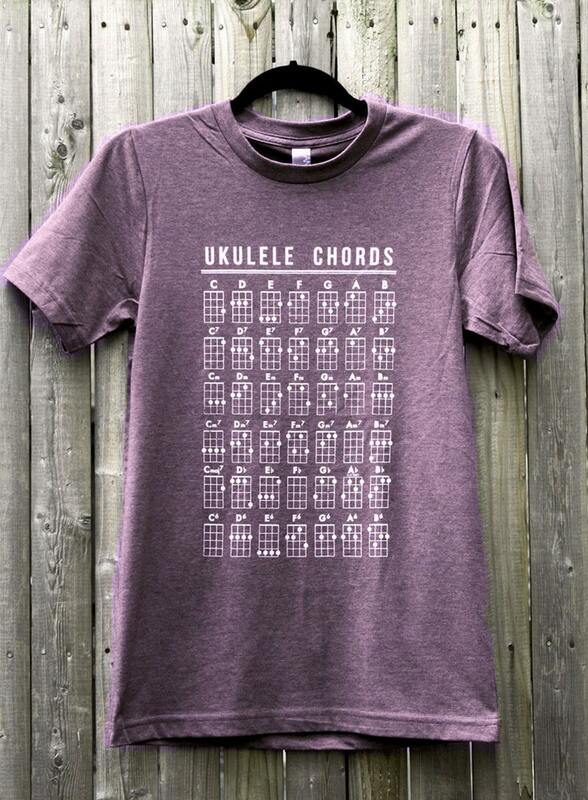 A Ukulele Chord chart that you can wear! Get one for the Ukulele teacher or player in your life. • Cream ink on vintage purple soft tee. Bulk orders for Ukulele classes are welcome! Send us a convo. This item was supposed to be delivered two days ago yet it hasn’t even shipped yet so I can’t comment on the quality of the shirt. I have contacted the seller with no response. I am disappointed as this is supposed to be a gift. I am still holding out hope that it will ship soon. Either way, I will not be buying from them again. Update 9/29/18: the shirt finally arrived today. It is made well and soft. It only shipped after I left this review. Such a fun t-shirt - soft and comfy material.